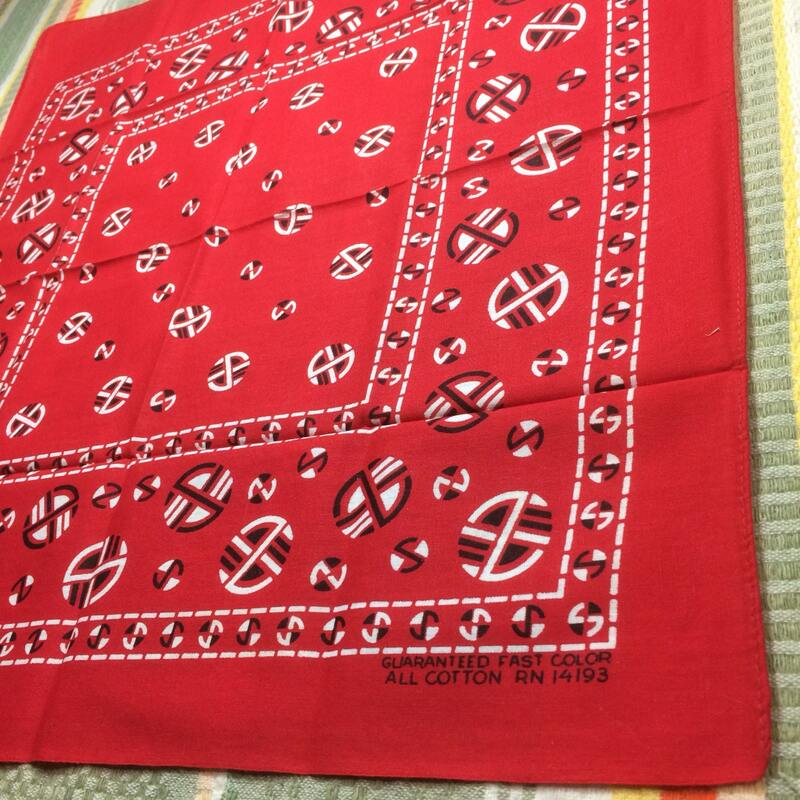 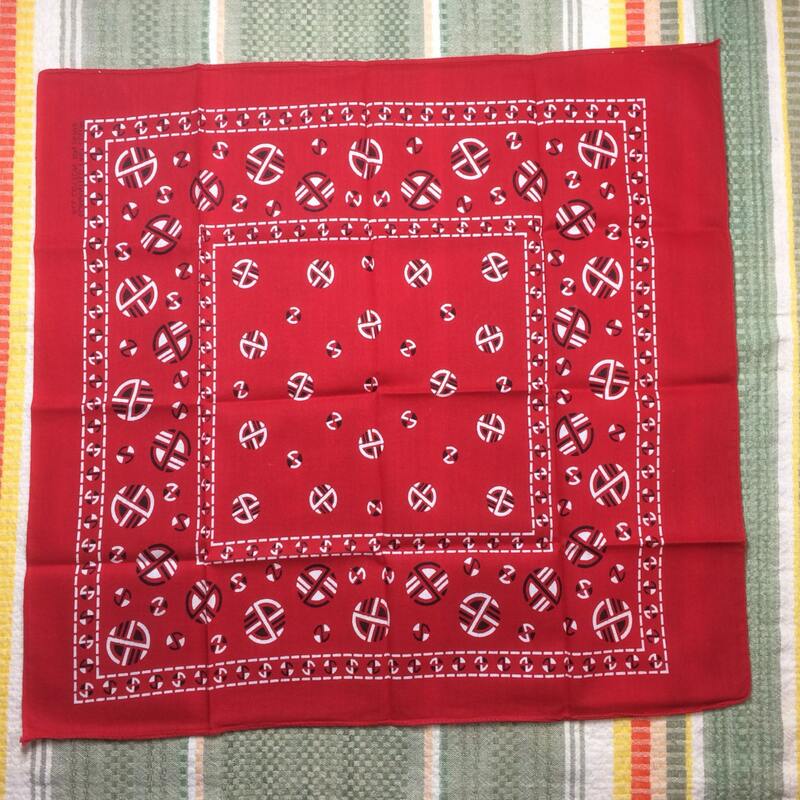 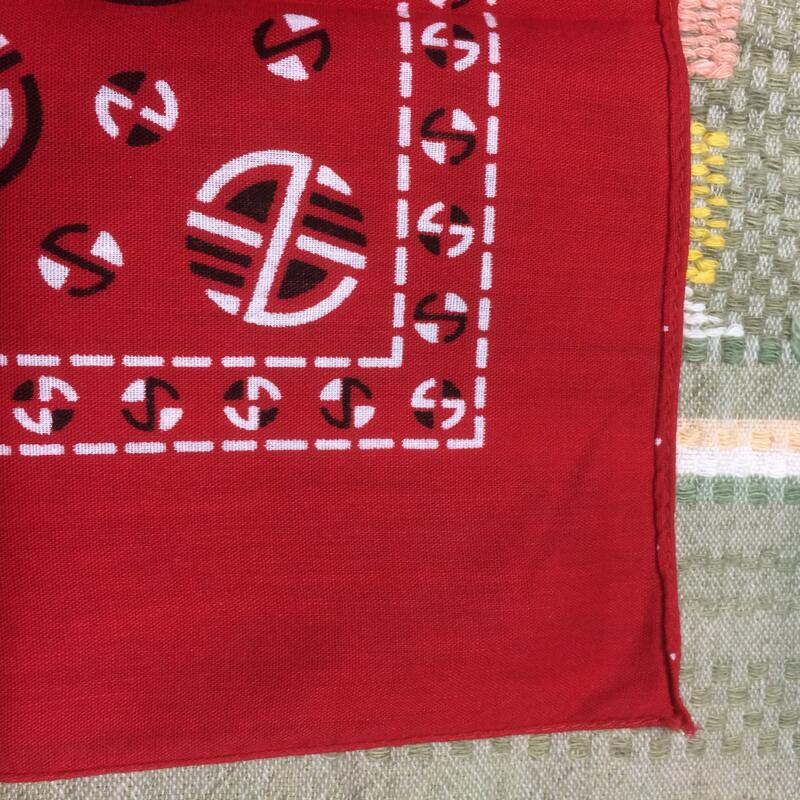 Here's a deadstock guanteed fast color bandana from the 1950's. 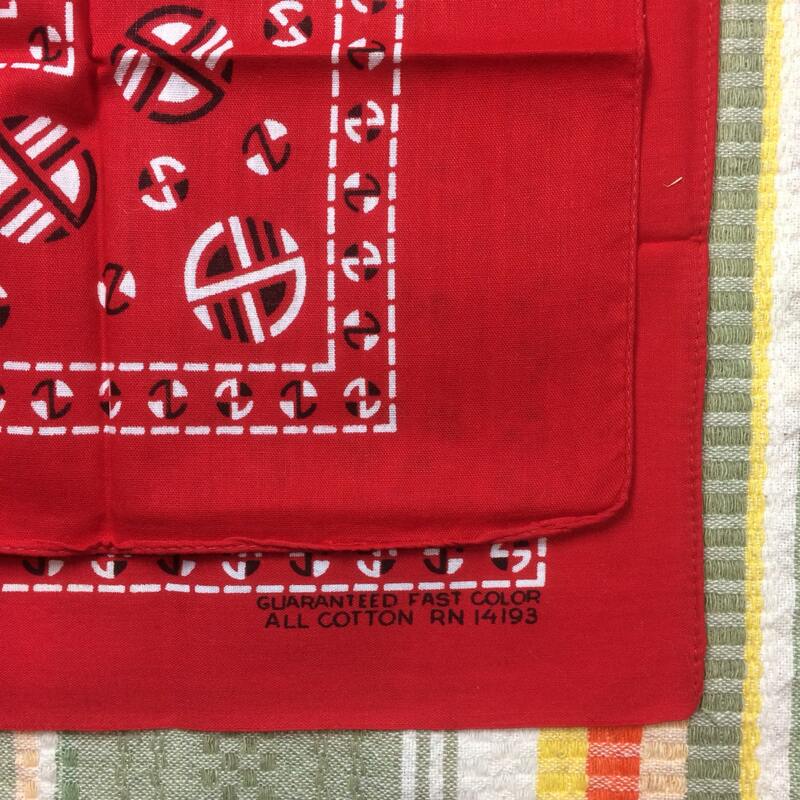 It's 100% cotton, in excellent, unused condition, no damage. 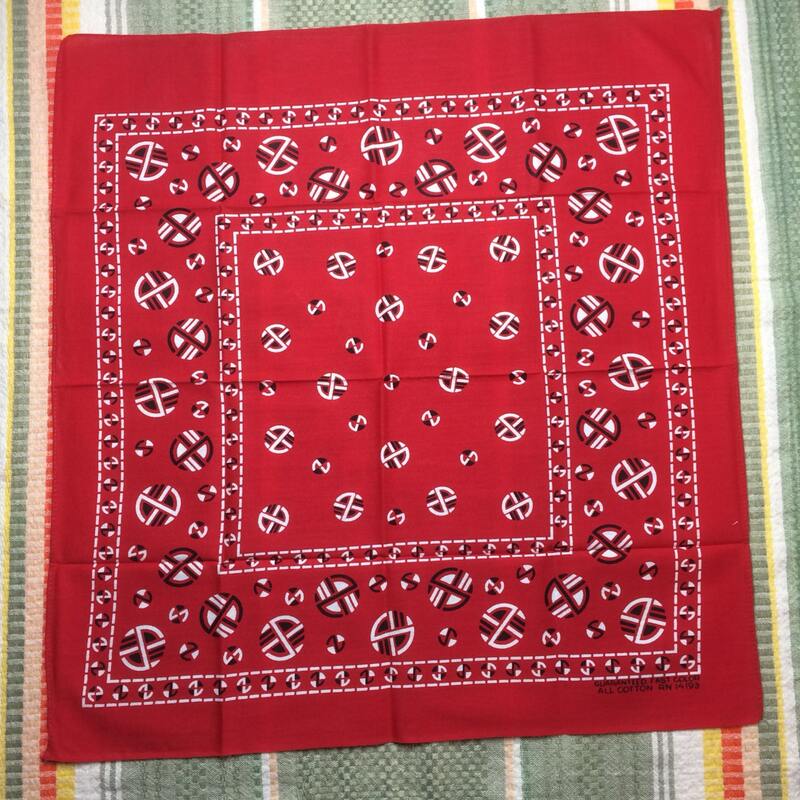 approximate size 18.25" x 17.25"